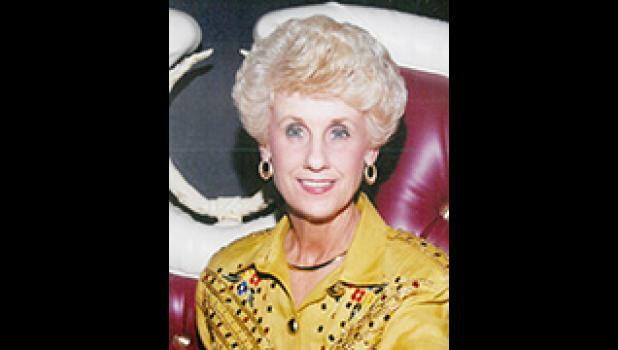 Cornelia Ruth Holden Hawkins, age 74, of Spartanburg, SC died August 24 of complications from pulmonary fibrosis. Cornelia was born on Sept 1, 1943, in Inman, SC. Cornelia was the daughter of the late Sidney and Marjorie Holden. She is survived by her husband Mendel “Sonny” Hawkins; her daughter Sharon and son-in-law Rev. Dr. Douglas Cushing, of Leland, NC; her sister Mildred and brother-in-law Gary Stephens, of Inman; and brother Conner and sister-in-law Peggy Holden, of Inman. Cornelia is pre-deceased by her brother, Benny Holden. Additionally, she is survived by her nephew Greg Stephens and nieces Denise and Erica Johnson; and Andrea Owens. Cornelia was a 1961 graduate of Chapman High School. She worked for 20 years at Homelite, but will be remembered for her 35 years working as co-owner of Mendel Hawkins Builders Inc. where she and her husband, Mendel, grew the company from its inception into one of the leading custom home builders in Spartanburg. Cornelia will be greatly missed by her family. She will be lovingly remembered for her unconditional love; purity of heart; glorious smile; transcendent laugh and infectious sense of humor. Her friends will remember Cornelia as an elegant lady with a heart of gold and someone who never met a stranger. She always had a smile on her face and never took herself too seriously. In addition to her love for family and friends, Cornelia loved her dogs, providing a warm, happy home for countless dogs in her life. Her furry friends meant the world to her. Finally, Cornelia loved the spring of the year. It was during spring that she would brighten the world planting flowers, especially roses and wearing her famous pink outfits to church. Cornelia possessed a beautiful Christian faith. For 40 years she was a faithful member of Poplar Springs Baptist Church and a dedicated member of her Sunday school class. Dr. Dale Roach and Dr. Doug Cushing will conduct the funeral service for Cornelia at Poplar Springs Baptist Church on Tuesday August 28, at 4 p.m. with a private service of committal at the Poplar Springs cemetery to follow. The family will receive friends beginning at 2 p.m. In lieu of flowers, memorials may be made to Poplar Springs Baptist Church and the Spartanburg Humane Society. Cornelia leaves this life with no regrets for she has gone to a better world to be with her family who have gone before her and to be reunited with her four legged babies and, most importantly, her heavenly father.